Edward Johnson’s kachinas can be seen in the Detroit Institute of Arts. 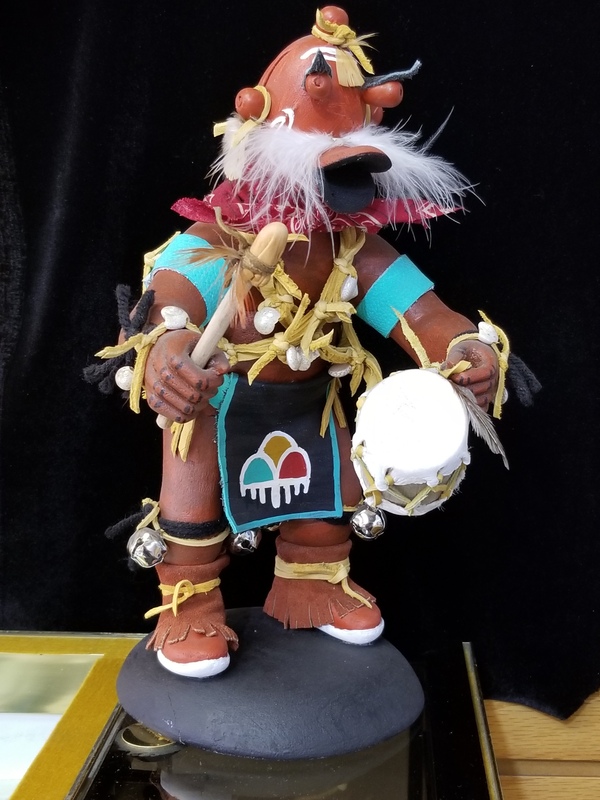 This particular kachina is use as a disciplinary model in the village for teaching the children about right and wrong. This is done in the usual Navajo way with bright paint, feathers, and cloth. We offer gift wrapping- just ask! We carry a large assortment of Navajo & Hopi Kachina’s; email us for photos & prices. 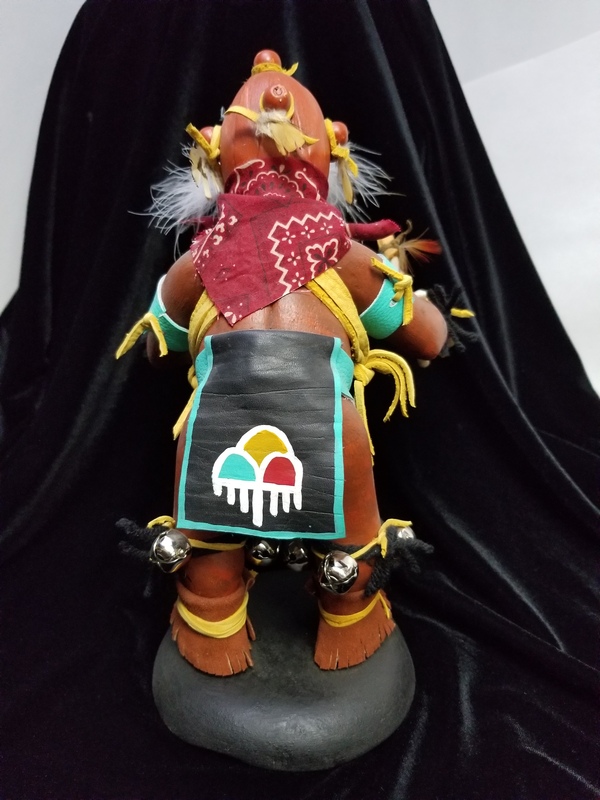 Navajo Edward Johnson MUDHEAD Katsina (Kachina) is featured with a war drum and dancing was hand-crafted by Edward Johnson in the usual bright paint, feathers, and cloth.